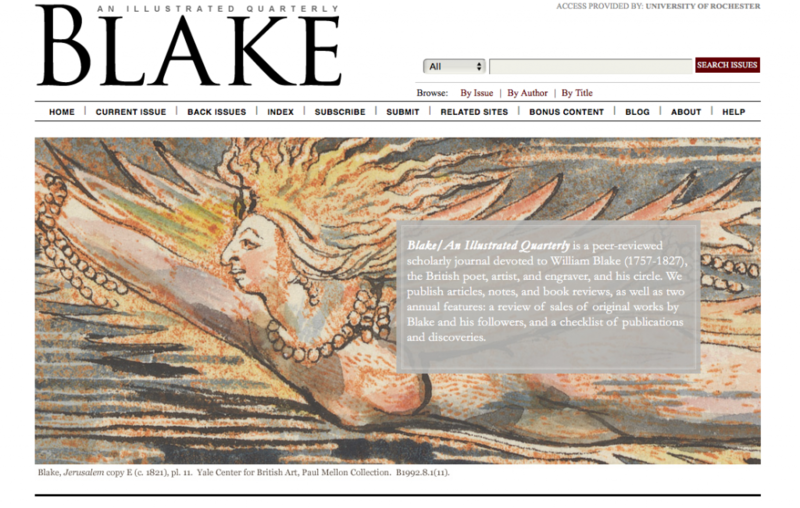 I’ve more or less finished the Blake Quarterly winter issue and will be publishing it next week. The months ahead are traditionally good to me, as the centerpiece of our spring issue is the sales review by Bob Essick, which is a dream to edit. 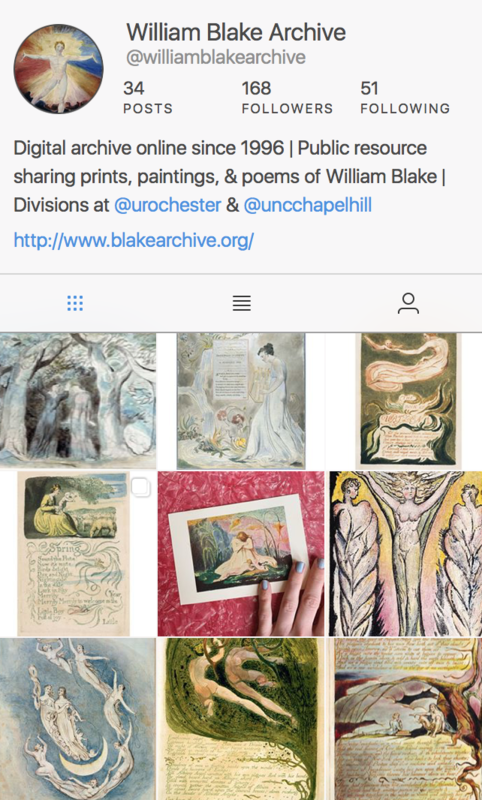 When I’m working on an issue I’m usually focused on the contents and on getting it out on time, to the exclusion of all but basic journal housekeeping tasks, such as updating IP addresses for institutional subscriptions or sending renewal reminders to individual subscribers. The prospect of a few easier months, however, has my thoughts turning to two small but potentially insidious words: special project. 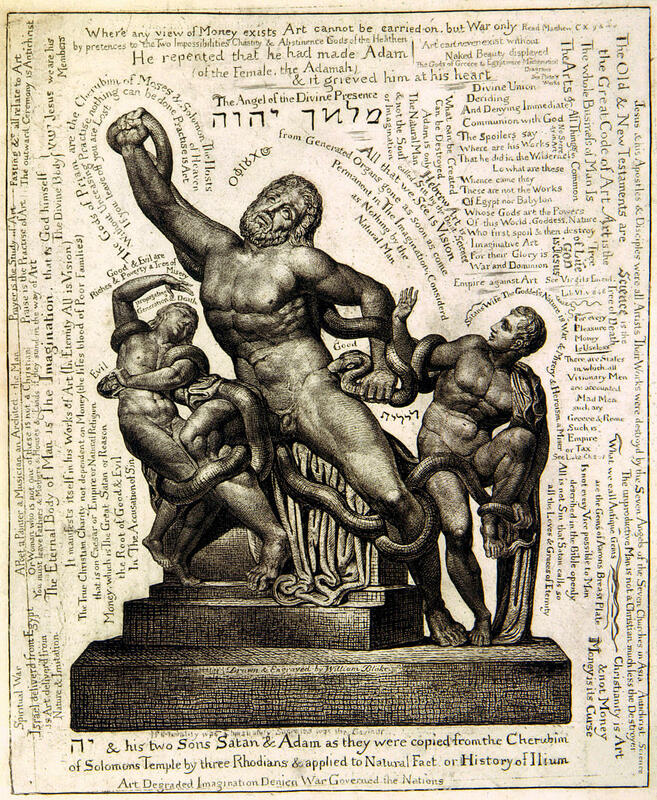 As I’ve mentioned before, Blake uses OJS (Open Journal Systems) as its online platform. One of the great things about the support we received from the UR library team to get the journal up and running was the customization of the front-end interface, which made possible our home-page images and layout. More difficult has been managing upgrades to the system ever since; the customizations have to be redone each time, and unfortunately for us the person who developed them no longer works for the library. In 2016 OJS unveiled version 3, a vast overhaul that promises to be much more customization friendly. This is a chance for us to code the customizations in such a way that they won’t be affected (which sounds much too optimistic—perhaps I should hope that they will be minimally affected) by future upgrades, by allowing the use of Bootstrap themes. I have some knowledge of our current customizations but am not an OJS expert by any stretch of the imagination and have never worked with Bootstrap before. Nevertheless, my plan is to delve into the world of OJS 3 customizations in the coming months as a prelude to developing a front end that can eventually replace our current one. Whether this means rebuilding in the current site’s image or tweaking a little (or a lot) is unknown: if you have any suggestions for improvements, please add a comment. I in turn will do my best to post updates on my progress, however halting it may be!